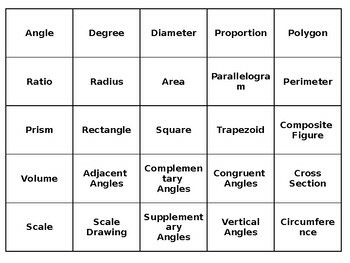 This activity is for the first day of your geometry unit. First have the students cut the vocabulary words out and sort them into two piles (words they know and words they do not). Then, give students the definition page. Have them place the cards they know on top of the correct definition. Students may then be able to guess which definitions could go with the words they do not know yet. Great way to preview student knowledge!